Is Your Social Media Ready for 2019? 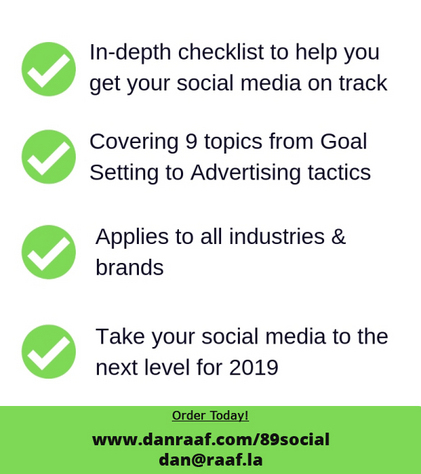 Download the FREE 89 Point Social Media Strategy Checklist today! This 89-Point Social Media Strategy Checklist covers 9 Strategies, from Goal Setting to Advertising. An in-depth checklist to help you get your social media channels on track. Applies for all industries and brands. Get your social media on track for 2019. Click the link below to Sign up Today!